Facebook's leaders gave certain big tech companies access to users' data — and the company refused such access to competitors, including the video app Vine, which the social media giant targeted right after it was launched by Twitter. These are two revelations about Facebook's business practices found in more than 200 pages of the social media giant's internal emails and documents from 2012 to 2015 that were released by British lawmakers on Wednesday. The revelations add to the mounting scrutiny of Facebook and its handling of user privacy. Earlier this year, the social media giant revealed that 87 million users had their data improperly shared with Cambridge Analytica, a data analytics firm that had worked with the Trump campaign. Facebook has long said it does not sell user data — and it reiterated that statement Wednesday, saying the newly released documents should not be taken out of context. As he released the records, Member of Parliament Damian Collins said, "We don't feel we have had straight answers from Facebook" to important questions. Chief among them, he said, are Facebook's "linking data to revenue" and whether it used data as a tool — both to punish competitors and to reward advertisers. Collins highlighted an email exchange from January 2013, when Facebook's Justin Osofsky noted that Twitter had just launched Vine, a short-video platform that allowed users to find Facebook friends on the app. "Unless anyone raises objections, we will shut down their friends API access today," he wrote, adding, "We've prepared reactive PR." "Yup, go for it," Facebook CEO Mark Zuckerberg replied, according to Collins. In contrast, Collins said, a dozen of the documents from 2014 and 2015 refer to Facebook "whitelisting" companies — giving them full access to users' friends lists. Other documents discuss setting an advertising threshold for companies that want to "maintain access to the data." Collins leads the parliamentary committee that is looking into whether Russia might have used Facebook users' data to try to influence U.K. politics — including voters' decision to approve Brexit and leave the European Union. The documents were released one week after Zuckerberg spurned an offer from the U.K. to answer questions from members of its Parliament along with lawmakers from other nations. Facebook had fought to keep the records private; some are marked "highly confidential." But Collins said via Twitter that there is "considerable public interest" in the documents being published. The Facebook documents stem from a court case in California, where a judge had ordered the records to be kept under seal. The U.S. case revolves around a privacy suit brought by an app company named Six4Three — whose owner, Ted Kramer, handed the documents over to the U.K. Parliament during a visit to London in late November. Kramer had initially refused to share the information, but he reportedly said he felt compelled to do so after being confronted at his hotel by the House of Commons' Serjeant at Arms, who presented an order from Parliament. Responding to Wednesday's release, Zuckerberg posted an update on his Facebook page saying the documents showed his company figuring out how to respond to two needs: quashing what he called "shady apps that abused people's data" and generating revenue as many users switched from desktops to smartphones. "Like any organization, we had a lot of internal discussion and people raised different ideas," Zuckerberg wrote. "Ultimately, we decided on a model where we continued to provide the developer platform for free and developers could choose to buy ads if they wanted." Comparing some of the proposals in the documents to business models that Amazon and Google use to charge developers for platform access, Zuckerberg said, "To be clear, that's different from selling people's data. We've never sold anyone's data." In addition to questions about how political operatives might have used Facebook to promote their own agendas, Collins said the documents also raise important questions about Facebook's business practices, including how it "treats users data, their policies for working with app developers, and how they exercise their dominant position in the social media market." Collins called for a public debate on "the rights of social media users and the smaller businesses who are required to work with the tech giants." In a summary about the data release, Collins identified six main themes, including Facebook's use of "white lists" of special agreements that gave some companies "full access to friends data" on the platform — even, Collins says, after an overhaul of its system in 2014 and 2015. Those companies on the white list include the dating app Badoo, ride-hailing app Lyft, rental service Airbnb and streaming media company Netflix. "We will be whitelisted for getting all friends, not just connected friends," an email from Netflix is quoted as saying in February 2015. In response, Zuckerberg said Facebook had undertaken a "major platform change" that started in 2014 so it could restrict the amount of data that apps can access — particularly apps that have notoriously harvested information about the social network's users. "This change meant that a lot of sketchy apps — like the quiz app that sold data to Cambridge Analytica — could no longer operate on our platform," he said. Zuckerberg concluded, "This was an important change to protect our community, and it achieved its goal." Other themes highlighted by Collins include Facebook's drive to boost revenue from app developers based on users' data and its hiring of Onavo, an Israeli analytics firm, to report on users' behavior — "apparently without their knowledge" — and determine "which companies to acquire, and which to treat as a threat." "Facebook knew that the changes to its policies on the Android mobile phone system, which enabled the Facebook app to collect a record of calls and texts sent by the user would be controversial. To mitigate any bad PR, Facebook planned to make it as hard of possible for users to know that this was one of the underlying features of the upgrade of their app." The Facebook documents touch on a wide range of business discussions, from granular questions from developers about how to optimize their apps to communications within Facebook's highest levels about how it can leverage its position as a dominant platform. For instance, in an internal Facebook email from 2012, Zuckerberg is quoted as describing an "information bank" that would operate similarly to a financial institution — including the ideas of charging recurring fees to developers who want access to user data and charging different fees for different companies, similar to how banks handle interest rates. As for why Facebook might treat some companies differently than others, "The whole banking industry is based on charging people different rates," the email reads. In an interview with NPR earlier this year, Collins said that while social media practices should be under close scrutiny, the fake news phenomenon should also lead governments to ask how they can prevent such actions. "Why is there a lack of transparency over who is running political ads on sites like Facebook and where they're doing it from as well to make it easier to spot, you know, bad actors or people running ads from foreign countries? And I think what this has exposed is, we were blind to the fact this was going on and that out, we need to tighten our rules and regulations to stop it happening." Does Social Media Cause Social Isolation? Are you constantly pulling out your phone to check that notification from Instagram or Facebook? If so, you’re not alone—nearly seven in ten American adults are on social media, according to a recent Pew survey. 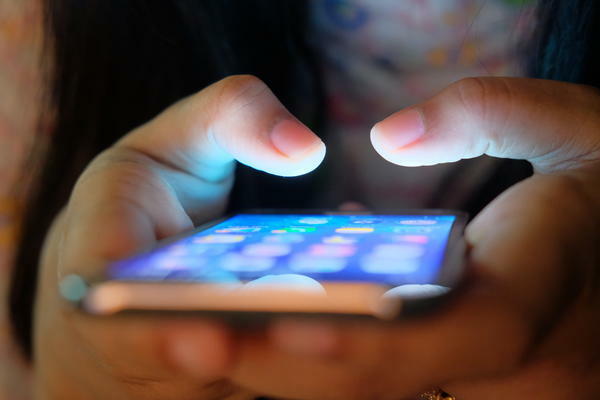 This hour: social media has made our world smaller, but do virtual networks make us feel more connected? A recent study found that those who spend more time on social media actually tend to feel more socially isolated. We ask researchers and a psychiatrist why. Nearly ninety-percent of Americans own a smartphone. On average, we spend more than four hours a day on our phones, which adds up to about 56 full days a year. That's like sealing yourself in a room on the first day of summer and not emerging until the kids head back to school. 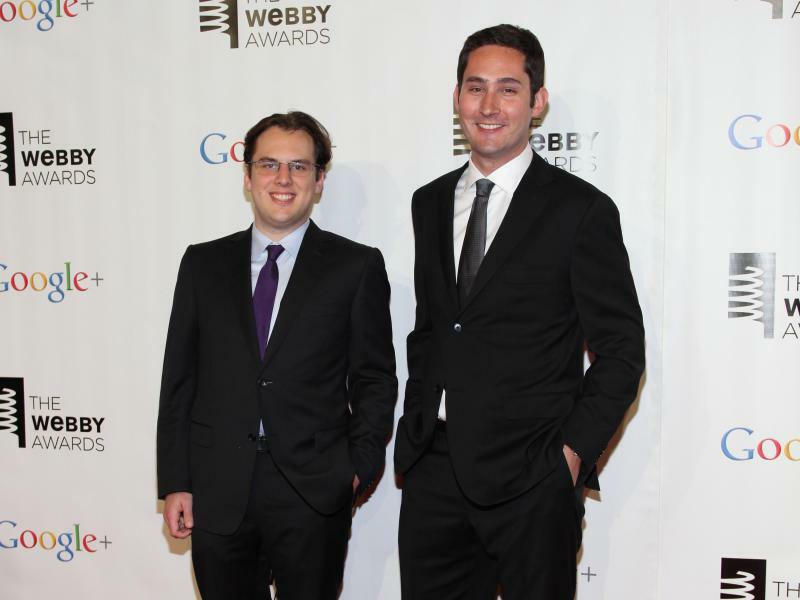 Kevin Systrom and Mike Krieger, co-founders of Instagram, have announced their plan to leave the company that produces the popular photo-sharing application. "We're planning on taking some time off to explore our curiosity and creativity again," Systrom said in a statement on the company's website. "Building new things requires that we step back, understand what inspires us and match that with what the world needs; that's what we plan to do."